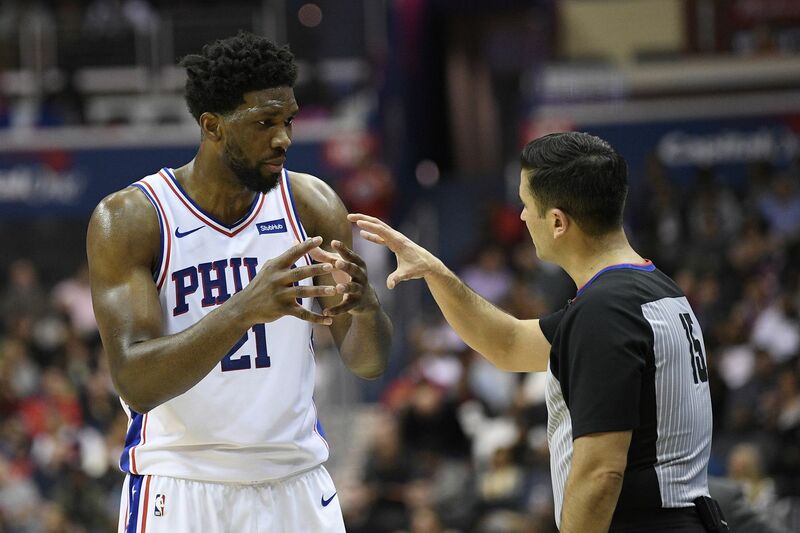 Joel Embiid missed Friday night’s game against the Atlanta Hawks at the Wells Fargo Center with a sore left ankle. The 76ers center suffered his injury during Wednesday’s setback to the Washington Wizards at the Capital One Arena. He remained in the game, finishing with game highs of 35 points, 14 rebounds and three blocked shots. Embiid tested the ankle before Friday’s game and was ruled out 22 minutes before the start of the 7 p.m. matchup. Mike Muscala will start in his place. Meanwhile, shooting guard JJ Redick will return to action after missing the past two games with lower-back tightness. Embiid is averaging 26.9 points, 13.5 rebounds and 1.9 blocks this season. Redick averages a career-best 18.3 points to go with 2.8 assists.